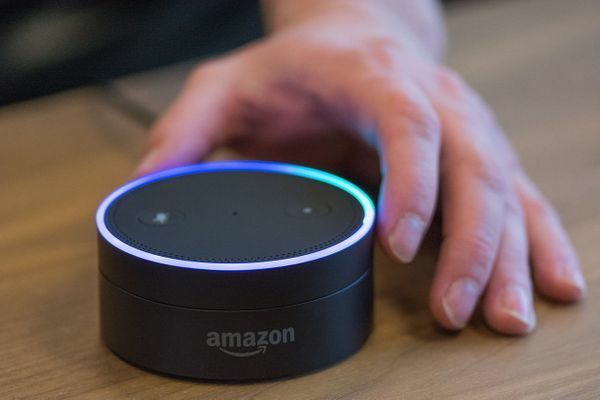 After creating my first Alexa Skill, I wanted to have the same functionalities on my Google Assistant (mobile app and Google Home). Let me explain how I did it! 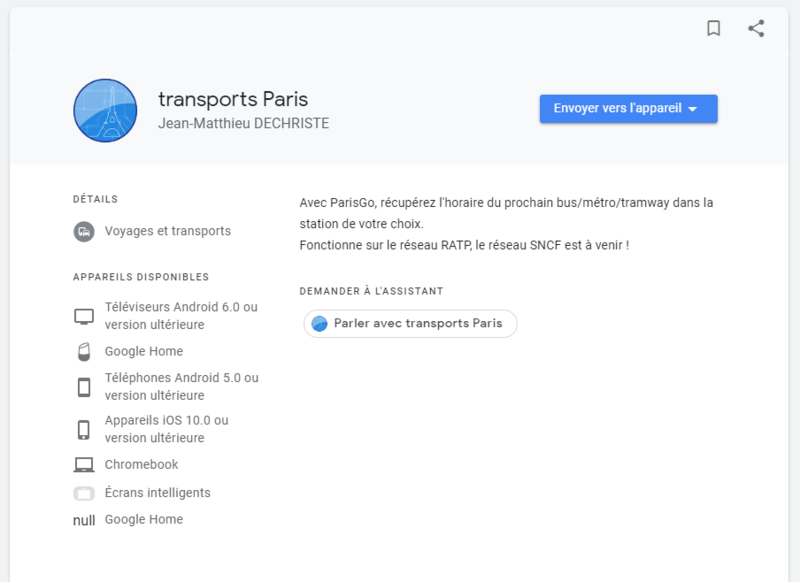 As for Alexa, my goal was to create a vocal version of my Android app, ParisGo, which helps parisiens to get the real time schedules of subways, buses, tramways, trains... in a very simple app. I know it's possible to port an Alexa Skill to the Google Assistant, but I wanted to start fresh to be able to maintain it myself afterwards. It's similar to Alexa Skills. 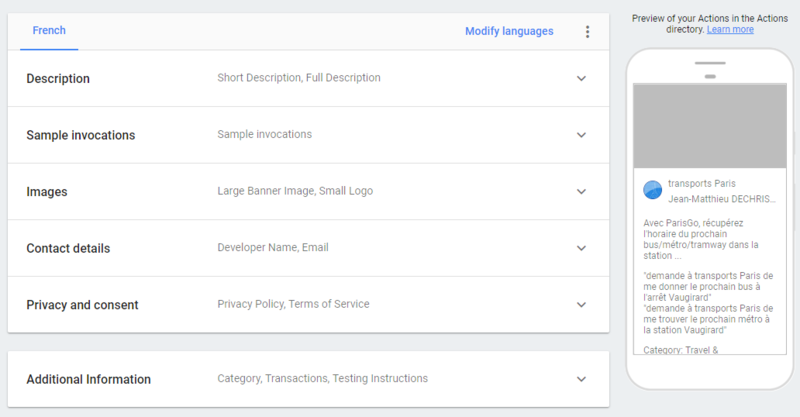 You have to define and build your Action on the Google Dialogflow platform. Each intent have some utterances. Each utterance can contains some parameters. Each parameter will match an Entity, which can be a custom list, or a Google predefined type (date, number, pone, country, movie...). 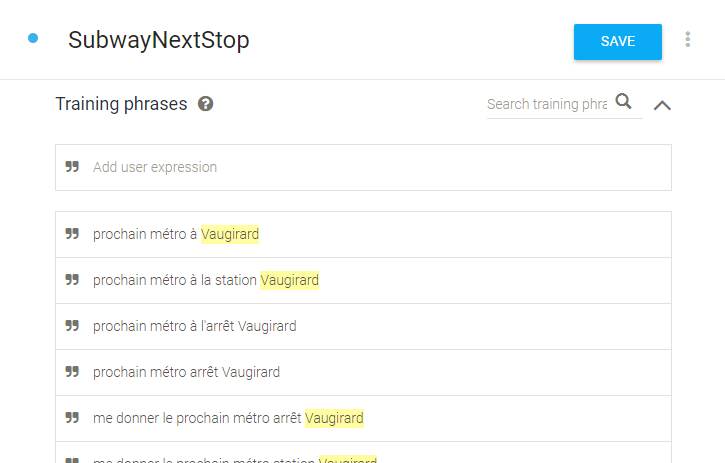 Vaugirard will be my parameter, and is linked to the SubwayStop entity. 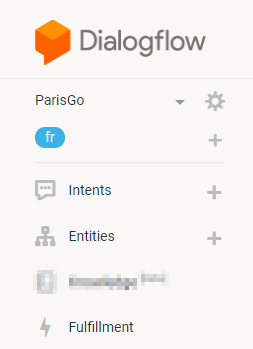 Dialogflow automatically detects parameters based on the already defined entities. You can also define if your parameter is required or if it's a list of words. If it's required, you also need to define the prompts to get the value from the user. To create your entity, you can import CSV or JSON files. Sadly, the CSV file is not the same as for Alexa. The first value will be the entity key, the second one will be the text and the following ones will be the synonyms. 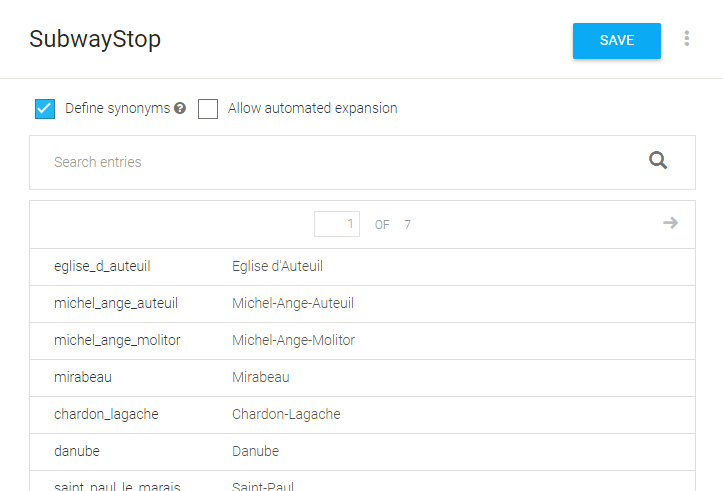 You can also disable synonyms and use only one column as key and value. After that, you have to choose the fulfillment, which will resolve every request from the user. Use an Google Function, which is a little function hosted by Google in NodeJs. 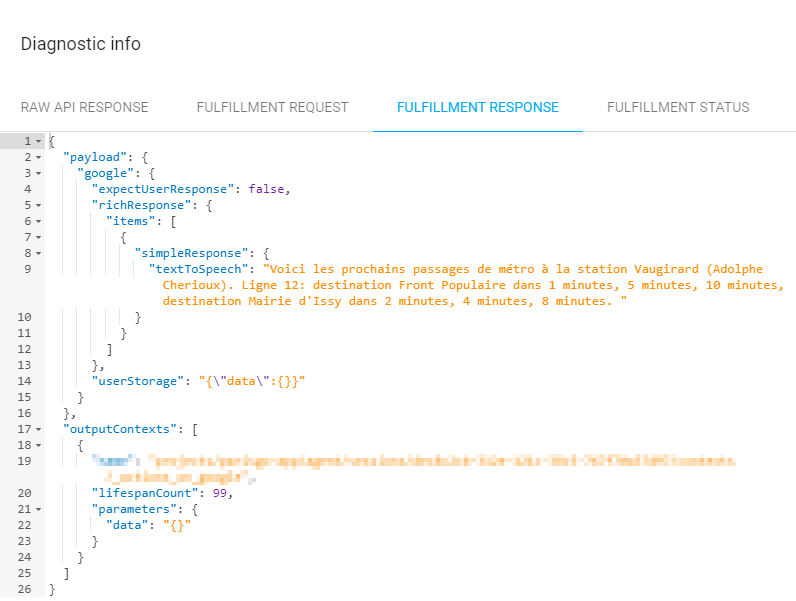 Google provides a library to help you parse the query / respond to the user. 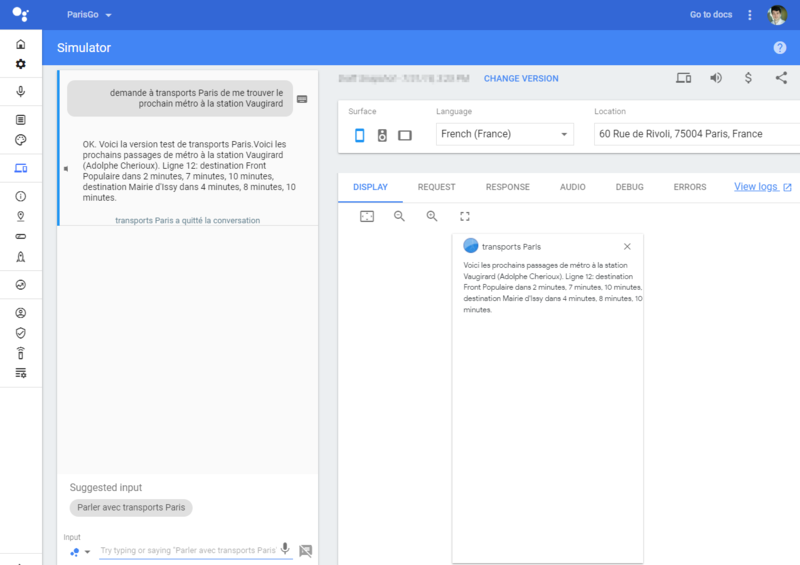 For simplicity, I chose to use the Google Function service, to format a request to one of my API and respond in French. To build the endpoint, you can use the embedded editor in the Fulfillment tab. You can even add dependencies into the package.json file, and they will be installed before deployment. Sadly, you cannot add new files. To do so, you will have to download a ZIP file, and upload the code again with the Google Cloud CLI. Everything it well explained on the Google Documentation. I will just help you to deploy something quickly. 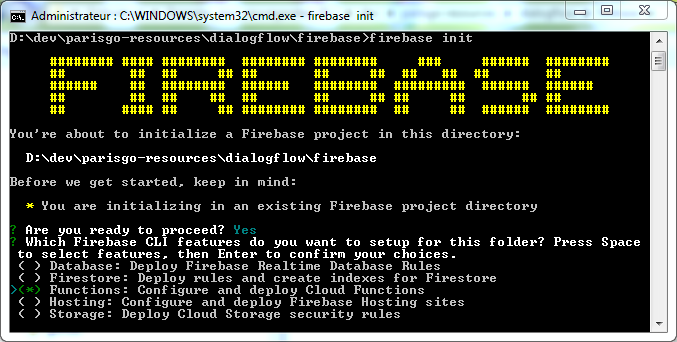 To deploy a 'function' project, you have to create a firebase.json file. You can do it properly with the firebase init command. It will ask you which service you want to activate on your project. Chose Functions, your programming language and so on. It can create you a default index.js file, and a package.json file with all the dependencies. 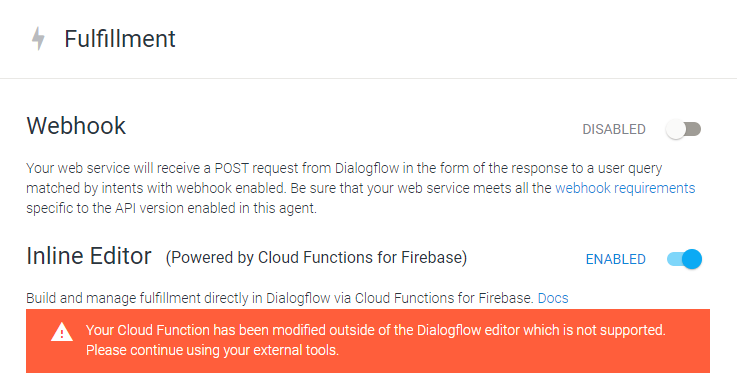 To be sure that you source code will be used as a dialogflow fulfillment, you function should be named dialogflowFirebaseFulfillment. I didn't tried to much to change it, as it was working like that. I find it easier than developing a Skill for Alexa. Sadly, the fulfillments samples are not up to date. You can now test your action in the Dialogflow simulator, and it will get you the parameter resolution, end even the JSON requests / responses. To deploy your action to THE WORLD, you just have to fill some forms on the Google Action console. You can now deploy in alpha, beta or production. Note that Google will review your action before publishing it. 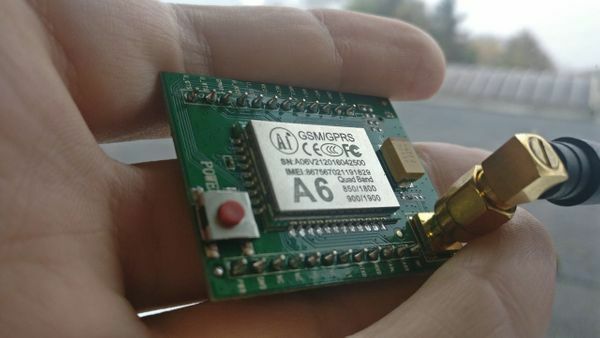 After modification and a new review, it will be published! Personal assistants are the new trend. I though it was time to build something for Alexa.